Suzanne Paleczny, Weight of the World. Oil on Canvas. 108 x 80 in. Suzanne Paleczny is a Whitehorse-based visual artist. Her primary media are oil painting and sculpture using a variety of materials such as driftwood, clay, wire and paper mache. 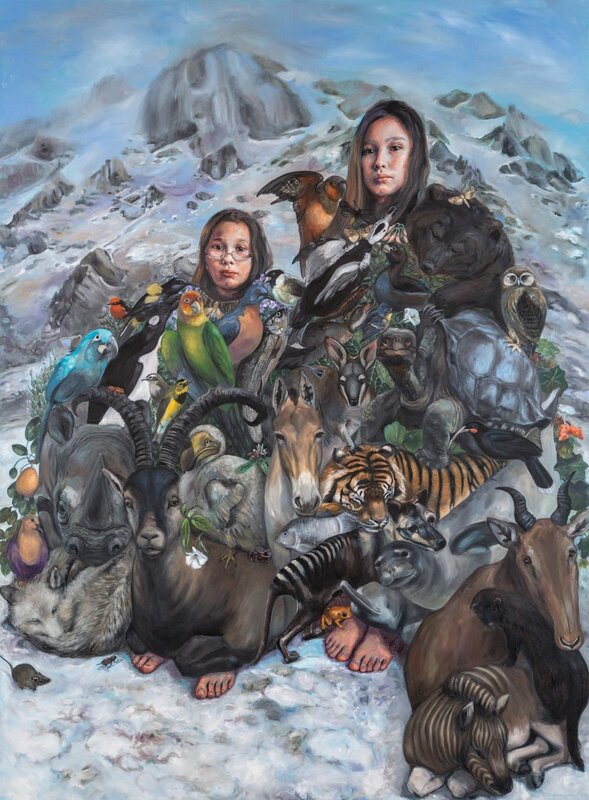 With the benefit of a Yukon Advanced Art Award, Suzanne studied painting, drawing, anatomy and sculpture at the New York Academy of Art in 2016. My work is inspired by the human form and by the challenges of expressing the human condition. I am strongly influenced by my relationship with nature and the north. My most recent works aim to challenge the prevailing dualistic model of nature vs culture and visually re-locate humanity into the natural landscape.